We invite you to visit our traditional two levels Corfiot house surrounded by a land of 3000 sq.m with beautiful flowers and olive trees, situated at Dassia near the famous Castello Bimbeli where you can visit the National Painting Gallerie. All of them have balconies and their own separate entrance with private parking for all your vehicles. WC, Bathroom, 2 bedrooms, separate kitchen with basic cooking facilities, coffee maker, small oven. 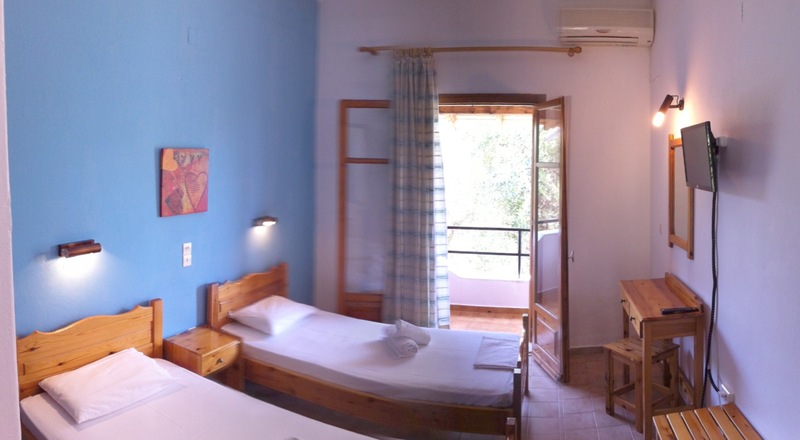 Air condition in both rooms, large veranda or balcony with panoramic Mountain View or garden. WC, Bathroom, 1 bedroom, separate kitchen with basic cooking facilities, coffee maker, small oven. 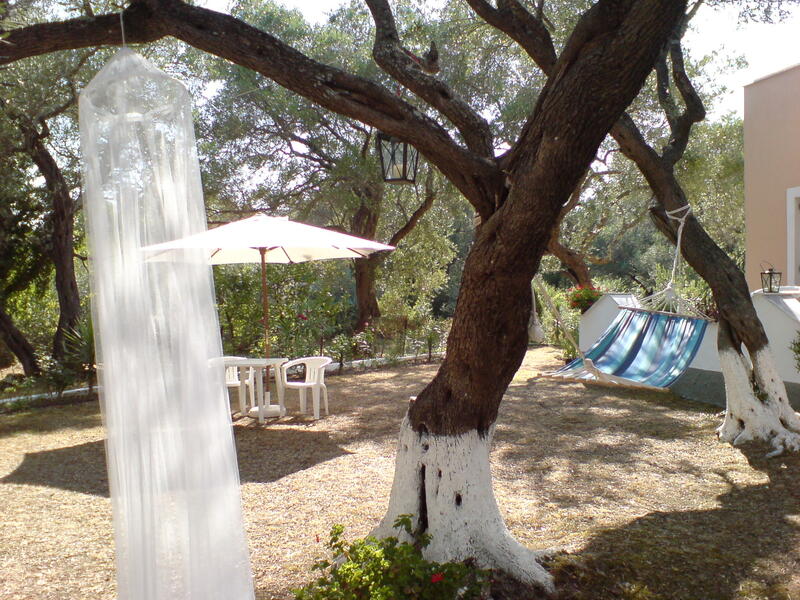 Air condition , large veranda or balcony with panoramic Mountain View or garden. 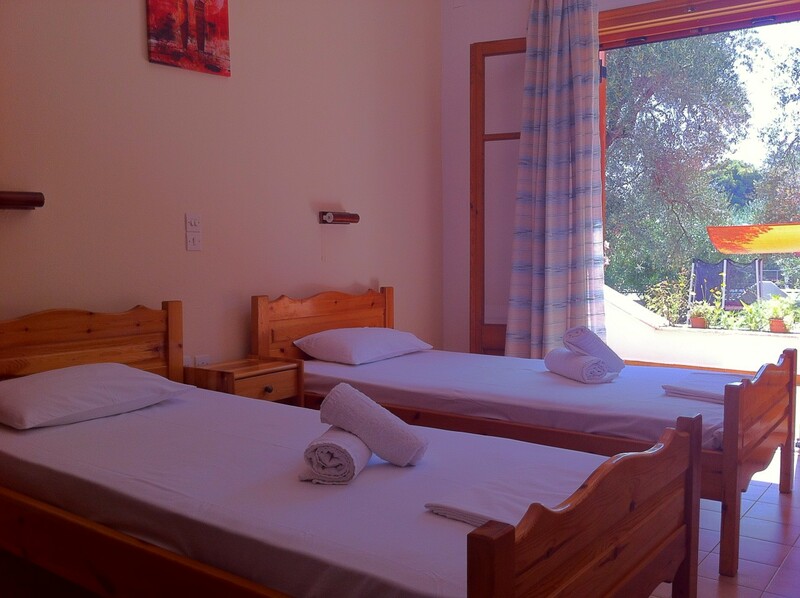 (sleeps up to 5 persons). Private parking for all your vehicles. Check Out: 11.00 – 12.00. Payments Terms:Deposit 30% of the total value of the booking and the balance upon arrival at the hotel. If cancellation is effected 21 days prior to the date of arrival deposit is refunded to the client. If cancellation is effected after the lapse of 21 days prior to the date of arrival client •has to cover the 50% of the cost of his stay. In case of cancellation during stay client should compensate the company with the 50% of the cost for the remaining period of his stay. Check out time 12׃00 noon. Clients occupying the room till 18׃00 are charged an extra 50% on room rate. After 18׃00 a full room rate is paid.